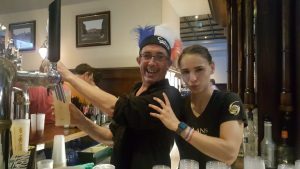 Being in France for the World Cup is always special – but they only went and won it, didn’t they! Thanks to Ireland for choosing not to take part this year, and letting France win the tournament and provide an unforgettable atmosphere in Nice and Cannes for us! 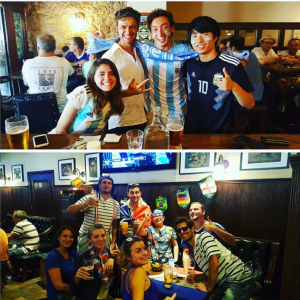 Our venues were rocking for each match, progressively more tense and exciting after each game. In a World Cup that saw England get manic and believe it was time for Football to finally ‘come home’, and where France glided through showing slick class and that their future in the sport is bright, it really was electric. 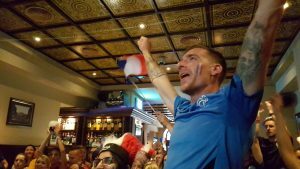 Ma Nolan’s is your home for live sport in the Riviera, and we showed EVERY game live without exception. Sports fans rejoice, we’ve got your covered.